Hopefully, you've already crossed California's legendary wine regions off your bucket list. 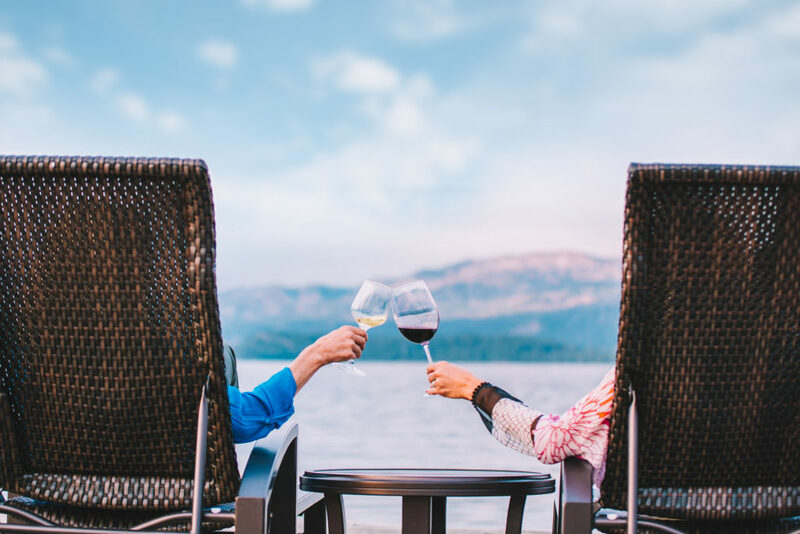 The Golden State's famous wineries have the weather, the scenery, the lifestyle, and of course, the wines, for romantic escapes, destination weddings, girlfriend getaways, group tours and even business conferences. But don't stop there. Go North, South, East and West. In spite of the vastly different terrains of America's states, you might be surprised at how many have thriving and award-winning wine scenes. Plus, in the United States as well as in the rest of the world, wine grapes grow in beautiful places. It's a win-win if you love discovering new wine and exploring close to home. So pack your bags for these 5 states, and remember to leave plenty of space in your luggage for bottles of the delicious new wines you're sure to discover! The very first vineyard in North America… was in Texas. Franciscan priests in the mid-1600's toiled to grow the continent's first vines and produce its first wines in mission outposts. European immigrants brought more grapevine cuttings to continue expanding the region's wine through the 19th century. Prohibition wiped out all of America's wine production in the '20's, but Texas has reclaimed its historic wine roots – literally. These days, the Longhorn State boasts 8 AVA's (American Viticultural Areas) producing wine from grapes that thrive in the state's unique climate and soil. The Texas Hill country AVA is the 2nd largest in America, 9 million acres in the heart of Texas north of San Antonio and west of Austin. The vast wine region is home to a range of one-of-a-kind microclimates that produce cool climate wines to Bordeaux and Italian varietals. Move over, potatoes. Idaho's most famous crop has competition. Idaho lies to the west of the Continental Divide of the Rocky Mountains. The terrain, explored by Lewis and Clark and a central feature of the Oregon Trail, these days is home to a fruitful wine industry you'll want to explore too. You may think of Idaho as a very new wine region, but in fact, it dates back to the mid-19th century. The first grapes in the Pacific Northwest were planted in Idaho by French and German immigrants. Prohibition in the 20's took out this wine region, too, but in the '70's, grapes took root again in Idaho. 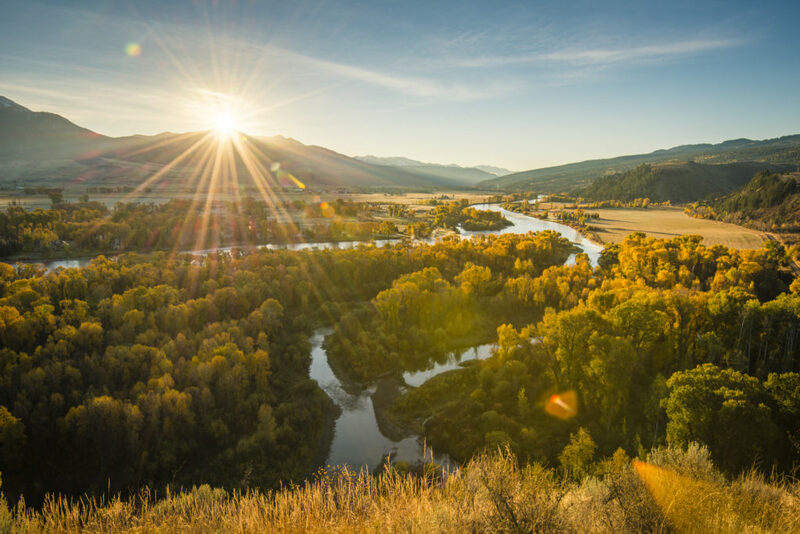 The Snake River Valley became the state's first AVA, and now covers 8000 square miles at latitudes similar to other global wine-growing regions, with a unique combination of seasonal temperatures, rainfall, and soil not only rivaling other wine regions, but even giving Idaho wines an edge in quality. Idaho now has more than 50 wineries producing cool climate wines, especially whites like Riesling, Chardonnay and Gewurtztraminer, and more recently, reds like fan favorite Cabernet Sauvignon. Michigan is the 5th largest wine-producing state in the US, producing nearly 3 million gallons of wine a year. The unique, Great-Lakes microclimate that makes Michigan a famous cherry producer also nurtures acclaimed wines. Most of the state's wine grapes are grown within 25 scenic miles of Lake Michigan, benefitting from 'lake effect' moderation of both winter and summer climate. There are over 100 wineries in Michigan, and 150 tasting rooms where visitors can sample and buy the wide range of Michigan wines from red, white, dry, sweet, even ice wine, sparkling wine, and wines made from its famous cherry crop. Michigan's Leelanau Peninsula Wine Trail in the north-west part of the state is considered one of the best in the country. This newcomer on the global wine scene has been a quick learner. Washington State is already the country's 2nd largest wine producer. Its wines are distributed in all 50 states, and around the world in more than 40 countries, where they win acclaim and awards that rank Washington as one of the world's top wine regions. Wine has a pedigree in the state. In 1825 the Hudson's Bay Company planted the area's first wine grapes at Fort Vancouver. French, German and Italian immigrants followed suit, importing cuttings and planting in Puget Sound and the Walla Walla Valley by mid-century. The early wineries were lost to Prohibition, but the last decade or so has seen a resurgence of wine-making in Washington. Now, over 55,000 acres are devoted to vineyards. The viticulture trend is growing fast, drawing wine-makers from Europe and New World wine regions to the state's unique terroir and conditions for producing premium white and red wines. Washington's young and internationally-influenced wine culture exhibits some of the latest trends in wine-making that visiting oenophiles will love. Hand-crafting, sustainability, as well as organic and biodynamic wines make visits to this Pacific North West wine region so unique. (Top Image: Walla Walla Wine Region, courtesy WashingtonWine.org). It's America's 3rd largest wine grape producing state. Oregon has over 700 wineries growing 72 grape varietals in a thousand vineyards. 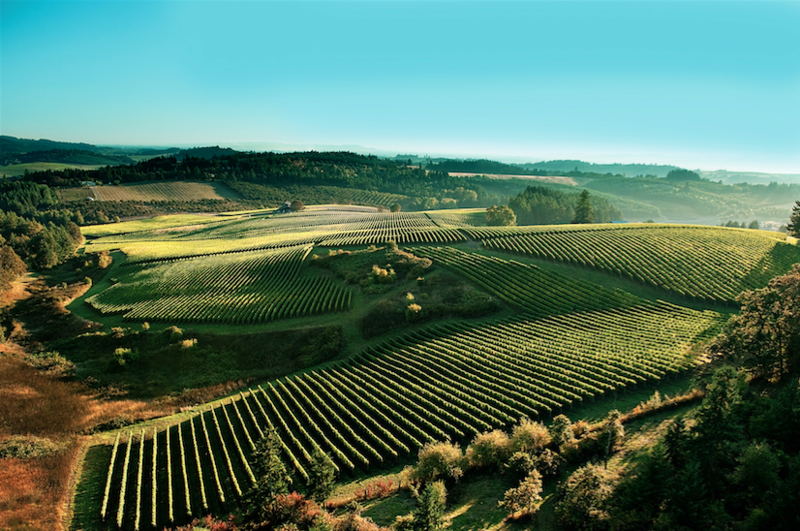 In spite of that scale, Oregon's famous for its small-batch wineries and artisan wines. Most Oregon wineries produce fewer than 5000 cases a year of an incredible range of wines from Riesling to Viogniers, Pinot noir to Syrah, with sparkling, rose, and dessert wines to tempt your palate. For wine-loving visitors to Oregon, that means two things. In winery tasting rooms, you'll have the chance to taste small-batch vintages that will never see wide release on store shelves in your home town. And hands-on, artisan vintners love to share their passion for wine, their vines, and wine-making styles with visitors to wine estates.